Google Earth is a Geo Browser like Firefox that provides you a new way to search your world. 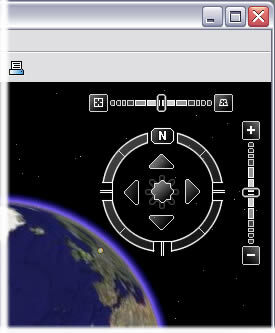 The navigation controls appear in the top right corner of the 3D viewer. They offer the same type of navigation action that you can achieve with mouse navigation, plus some additional features. A placemark is a visual notation that marks a location. Each placemark appears as a pushpin with a label.